2015 KZ Spree 261 RK, Call for details. MAKING MEMORIES SALE! Was $40,364. Now Only $35,520! Don't Miss This Opportunity! 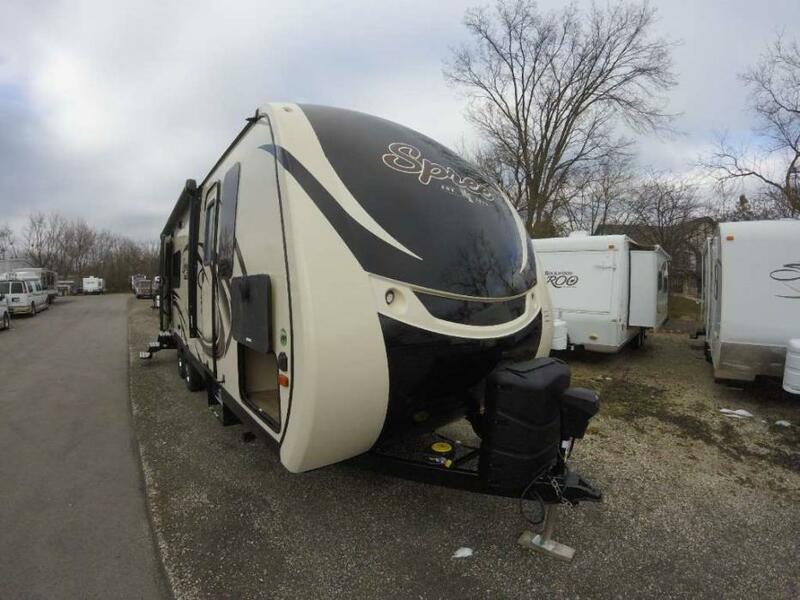 The 2017 KZ Spree 261RK has one slide, is spacious, very comfortable, and can sleep 6! This beautiful camper has One Touch Leveling, a Fiberglass Exterior, Front Cap, Heated and Enclosed Underbelly, Power Tongue Jack, Aluminum Wheels, Flip Up Bike Rack/Cargo Tray, Two 30 Lb LP Tanks, 6 Gallon G/E DSI Water Heater, Outside Shower, 4 Heavy Duty Scissor Stabilizer Jacks, Ladder, Frameless Windows, Spare Tire, and a 15' Lighted Power Awning. 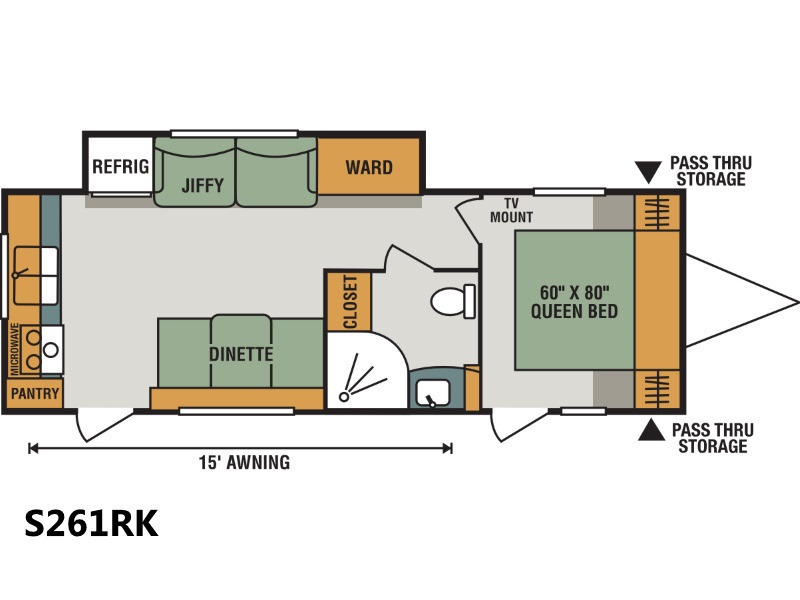 Inside this popular layout there is Ducted Air (15,000 BTU A/C) and Heat, Booth Dinette Bed, Jack Knife Sofa Bed, 8 Cubic Foot Refrigerator, 3 Burner Stove with Oven, Microwave, 48" Residential Style Shower with Seat, Porcelain Toilet, 60x80" Queen Bed, Maxx Air Fan in Bedroom, AM/FM/CD/DVD Player, and a 39" TV. The decor is Seal and the UVW is 5,890 Lbs. 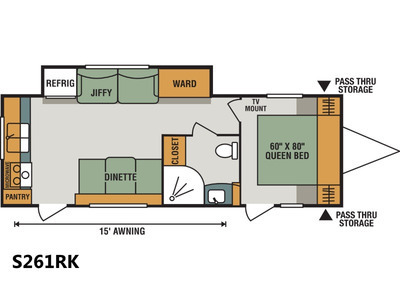 This popular layout is ready to go on your next adventure! Call today! 1-866-806-3196. Year End Inventory Reduction Sale! We have too much inventory and the boss says everything in stock must go before 12/21/16! Come out and get an awesome year end deal! Was $40,364. Now Only $35,520! Don't Miss This Opportunity! 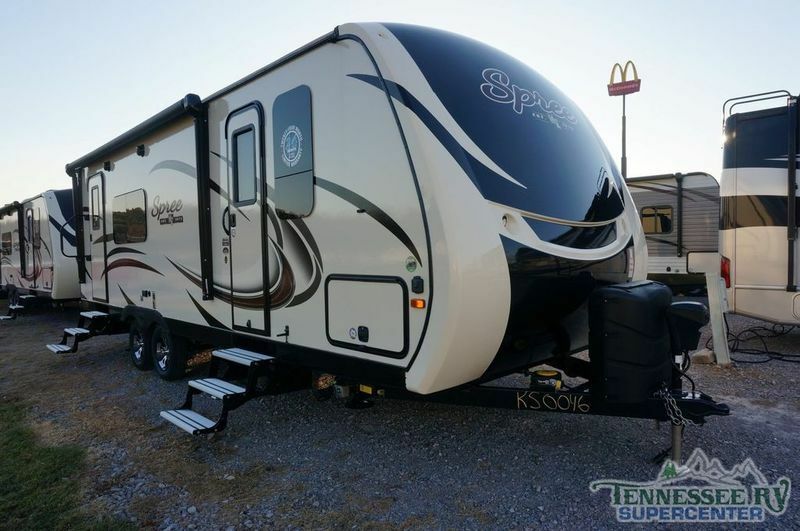 The 2017 KZ Spree 261RK has one slide, is spacious, very comfortable, and can sleep 6! This beautiful camper has One Touch Leveling, a Fiberglass Exterior, Front Cap, Heated and Enclosed Underbelly, Power Tongue Jack, Aluminum Wheels, Flip Up Bike Rack/Cargo Tray, Two 30 Lb LP Tanks, 6 Gallon G/E DSI Water Heater, Outside Shower, 4 Heavy Duty Scissor Stabilizer Jacks, Ladder, Frameless Windows, Spare Tire, and a 15' Lighted Power Awning. 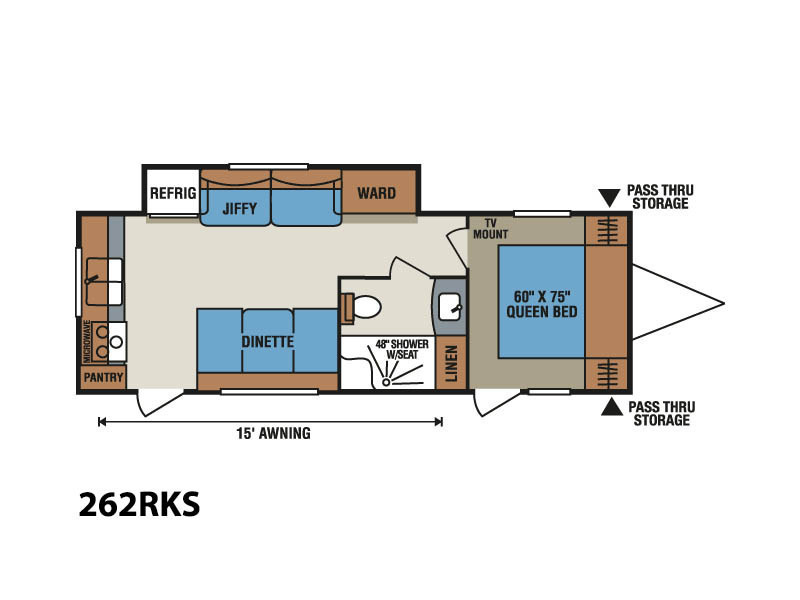 Inside this popular layout there is Ducted Air (15,000 BTU A/C) and Heat, Booth Dinette Bed, Jack Knife Sofa Bed, 8 Cubic Foot Refrigerator, 3 Burner Stove with Oven, Microwave, 48" Residential Style Shower with Seat, Porcelain Toilet, 60x80" Queen Bed, Maxx Air Fan in Bedroom, AM/FM/CD/DVD Player, and a 39" TV. The decor is Seal and the UVW is 5,890 Lbs. This popular layout is ready to go on your next adventure! Call today! 1-866-806-3196. KZ has done it again with this 2017 Spree S261RK when it comes to luxurious traveling! The 2017 models have the new high-gloss Ivory color-infused gel fiberglass sidewalls and a smooth streamline painted front cap. 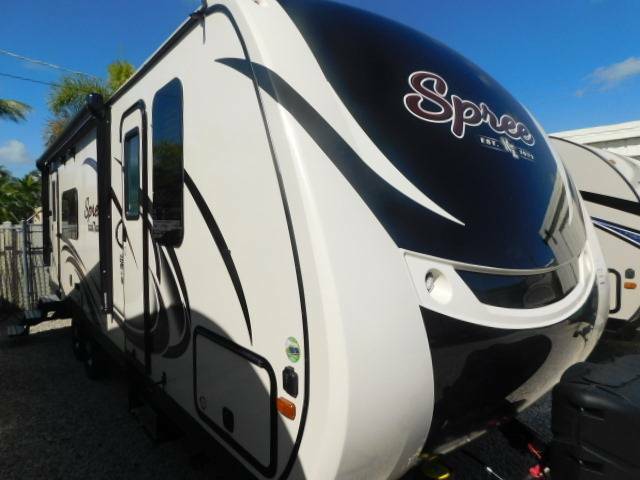 This 2017 Spree is loaded with standard features that include: Fully walk-on roof decking, 1-piece seamless roof, tinted windows, 5/8” tongue & groove plywood floor, slam latch baggage doors, LED interior & exterior lighting, 13,500 BTU air conditioning, to name a few of the many standard features. MSRP on this unit is $47,894. 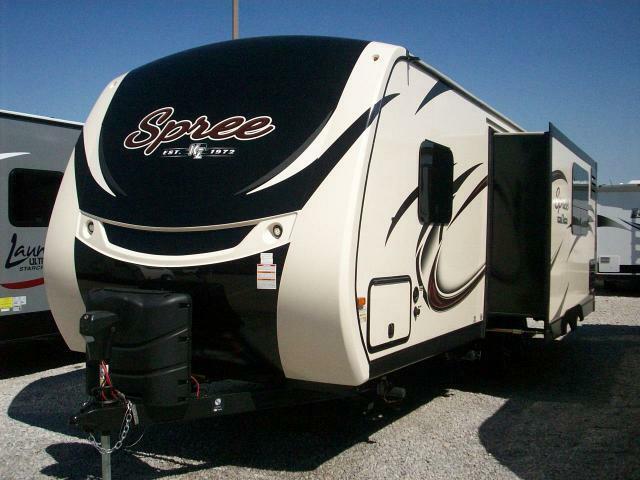 Save over $17,000 with this offer!This Spree S261RK is also equipped with K-Z’s Advantage Package that includes: Ground Control 3.0TT Auto-leveling system, 6-sided aluminum structure, painted front cap, power awning with LED strip, frameless windows, 5/8” tongue & groove plywood floors, Climate Package (insulated, heated & enclosed underbelly), friction hinge entry door, Key-Alike program for baggage & entry doors, Alumitread entry steps, power front jack with LED light, 6 gallon gas/electric DSI water heater, solar prep, backup camera prep, battery disconnect, ToyLok, multi-media stereo with DVD & Bluetooth technology, plus much more! 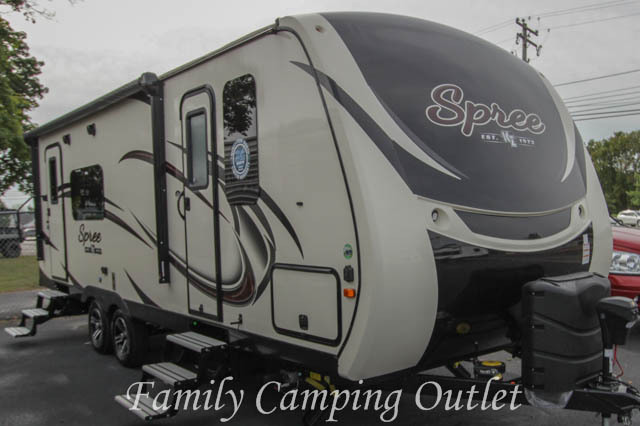 Other optional equipment that has been added to this unit includes: upgraded 15,000 BTU air conditioner, 39” flat panel TV, Bedroom LED TV, and bumper mount grill.This Spree S261RK is perfect for up to six people. Come by and visit us to take a look for yourself! In fact, we recommend you call us ahead and we will gladly “power up” this trailer for you to view in comfort. We’ll have the lights, TVs, and air conditioning on for you so you can sit back and feel the KZ difference! Here’s the best part: THIS KZ Spree S261RK is supported and serviced locally by Great Time RV’s (small enough to serve). We are one of the oldest (44 years) RV Dealers in South Florida. Here to stay, qualified and convenient for you! This internet offer does not include shipping costs. Add shipping cost and any added value, desirable, or recommended upgrades such as weight distributing hitches, brake controls or our GT Package when comparing your final price on any trailer.We stock and service Super Lite light weight trailers with aluminum wall construction, Fiberglass trailers, Bunk house trailers, Couples touring trailers, Hybrid trailers, Expandable trailers, Aluminum frame Ultra lite trailers, pre-owned Spree, KZ, Sportsmen, Escape, Thor, Dutchmen, Flagstaff, Airstream, Crossroads, Salem, Passport, Coachmen, Surveyor, Work and Play, Forest River, Keystone, Rockwood, Trail-Lite, Kodiak, Jayco, Starcraft, and Toy Haulers. 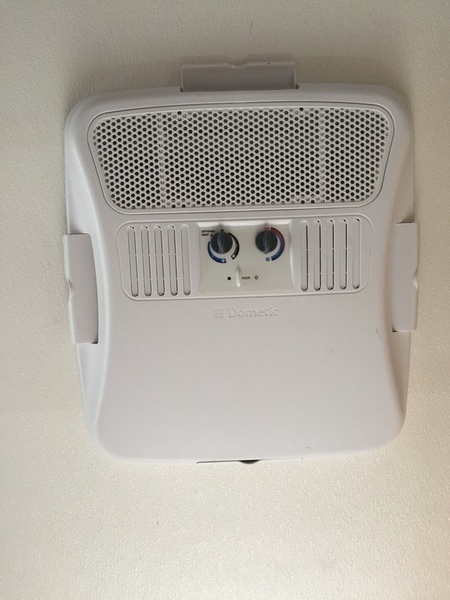 We also wholesale and export. Over 44 years serving Palm Beach, West Palm Beach, Palm Beach Gardens, Jupiter, Ft. Lauderdale, Miami, Broward and Dade County, Stuart, Port St. Lucie and Okeechobee.